We are a real estate investment and development company and focus on helping homeowners like you find solutions for your problem whether you’re going through a foreclosure, can’t sell your property or just need to sell your house for any kind of reason. We are experienced in purchasing property. We will be able to quickly determine the value of your property and provide you with an offer that will meet your needs. We can provide a fast and reliable sale for your property. By selling to our real estate investment and development company, you avoid the lengthy process of selling through a realtor. You also avoid having to pay real estate commissions on your property. If you are thinking about selling your property, make sure that you consider whether we might be the right choice for you. We are always looking to expand our investments and to acquire new properties. We have access to a network of support from buyers, to lenders, to general contractors, painters, landscapers and title companies that a typical individual does not have. 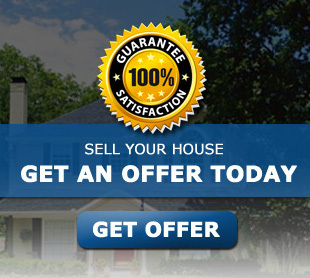 If you want to sell your home fast in Yukon, Moore, or Oklahoma City, we are the best option. The business of selling the house will be completed within a very short time and this will definitely ease your pain. As a real estate investment company, we will usually be able to offer cash as well as the ability to close very fast. Selling homes is usually associated with a lot of obstacles and this is because of realtors putting up obstacles. Realtors often act as intermediaries between willing buyers and willing sellers and there are certain procedures and regulations that have to be followed here. These could include inspections, appraisals, contengencies, etc. The buyer may not have the money required to buy the home and, therefore, he will have to apply for a bank loan. There is the possibility the person may fail to get the loan or that it can take very long to get processed. You also have to complete a lot of paperwork so that you can sell your home. All these obstacles may prove to be annoying and they will drag out the entire process. With us, you will not have to pass through all these obstacles since the process is straightforward and quick. If you have any questions about how we work, what the process of selling a house or having us help you avoid foreclosure or just want to learn more about us, don’t hesitate to contact us anytime! I have a house that in the process of remodeling, I have run out of money. I have a mortgage on it however, I’m scared that the condition it is in is now worth below what I owe on my mortgage. I just want out of this property.I’m not sure if this is something that anyone can even help with but I figure I would start somewhere. Hi Danika, thanks for reaching out to us! Your situation is common and there are many solutions available. It’s important that you’re proactive and take the right steps though. If you would like to contact us directly we would be more than happy to offer any assistance or advice to help you out of this situatiuon. Call 405-432-1901 and say you need to speak with Shawn. We are a small group of local Real Estate Investors looking to purchase property in the Oklahoma City Metro area including Yukon, Moore, Norman, Edmond, and surrounding areas.